Groups and individuals pretending to be charitable organizations are especially active around tax season, as they try to attract donations from Americans looking for a tax deduction. 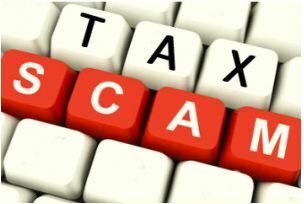 Unfortunately, its one of the “Dirty Dozen” Tax Scams for the 2017 filing season, according to the IRS. Be wary of charities with names that are similar to familiar or nationally known organizations. Some phony charities use names or websites that sound or look like those of respected, legitimate organizations. IRS.gov has a search feature, Exempt Organizations Select Check, which allows people to find legitimate, qualified charities to which donations may be tax-deductible. Legitimate charities will provide their Employer Identification Numbers (EIN), if requested, which can be used to verify their legitimacy through EO Select Check. It is advisable to double check using a charity's EIN. Fraudsters may attempt to get personal financial information or Social Security numbers that can be used to steal the victims’ identities or financial resources. Bogus websites may solicit funds for disaster victims. To help disaster victims, the IRS encourages taxpayers to donate to recognized charities. Disaster victims can call the IRS toll-free disaster assistance telephone number (866-562-5227). Phone assistors will answer questions about tax relief or disaster-related tax issues. Find legitimate and qualified charities with the Select Check search tool on IRS.gov. (EINs are frequently called federal tax identification numbers, which is the same as an EIN).